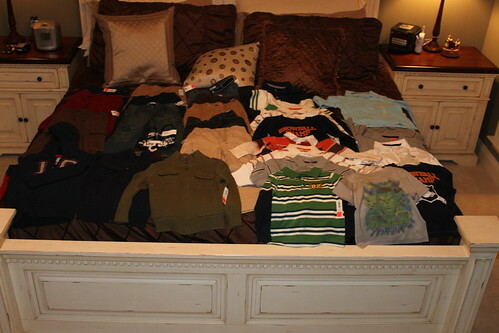 48 pieces of clothing for Garrett, all for a grand total of $72 after tax. And you know how I found out about this sale? Via twitter. Birmingham Mom Online posted that she scored big at Old Navy. 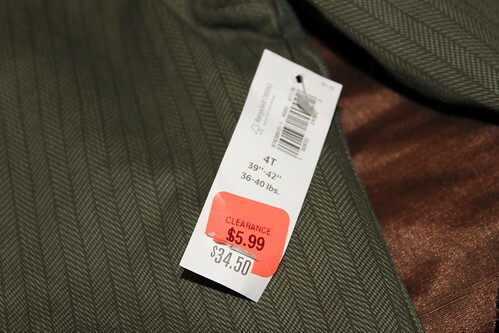 All the marked downs were an additional 50% off but the sale ended today. So I ran out and basically clothed my kid for next winter for about 80-90% off retail. 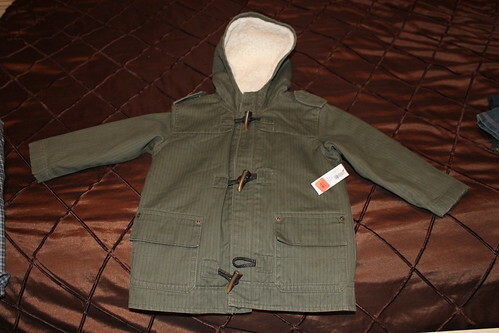 So that means that this super cool over coat that was originally $34.50 before Christmas? I got it for $3.00. This was the most expensive item of the whole bunch. Unbelievable!! Check out these cute shirts! 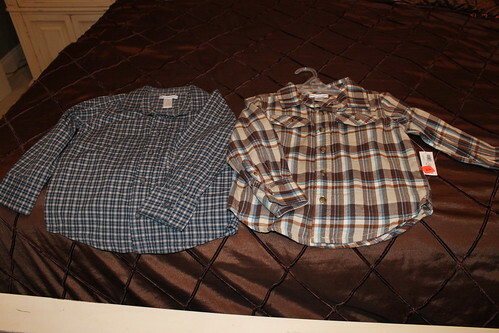 G’s gonna be the best dressed dude at school come next fall. Amazing deals! So that’s why I love the internet! And Twitter. And Old Navy. Check out this receipt. It’s longer than my kid. 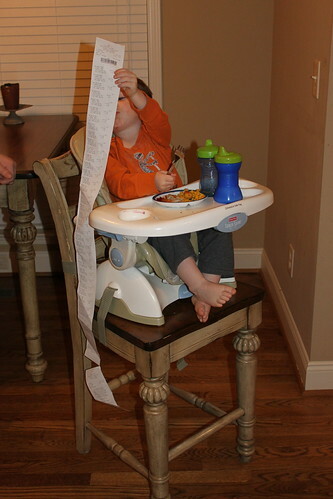 Let’s hope the size 4T clothes I bought him will fit him better than this receipt does!! That’s amazing! Way to go! I might have to look for Oklahoma cheapies like myself on twitter. Thanks for sharing. Little man will be stylin’! I got a few things too! I wish I had more money to spend on clothes though! I got 2 sports bras, 2 short sleeve shirts, a tanktop, a necklace and earrings for $30! Hopefully they will do this sale again!